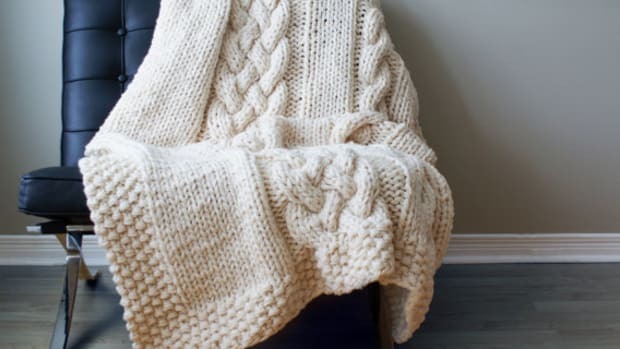 One of my favorite things to do as the weather gets cooler is to get snuggly on the sofa with knit or crochet projects. 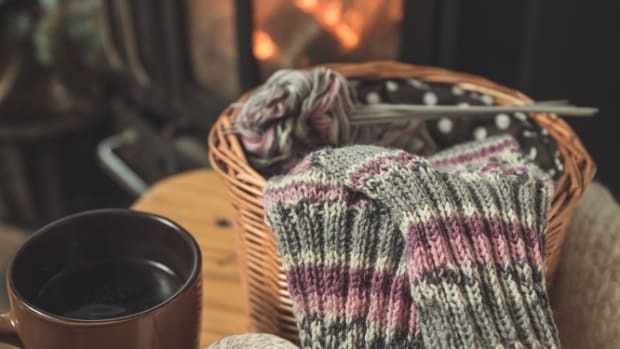 I love it even more when my project is completed and I get to snuggle up under the throw I crocheted, wrap that scarf I knitted around my neck or gift the knit cap I made to my husband to help keep him warm on our walks out in the crisp autumn air. There is just something completely soothing about working on knit or crochet projects. It’s a way to keep my hands busy while I unwind after a long day. 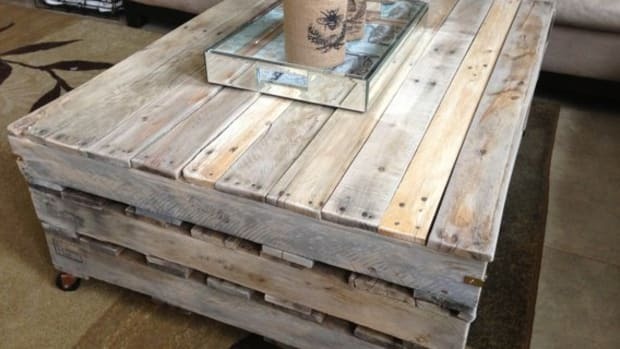 There’ also not much else better than the satisfaction I feel when my projects are completed. 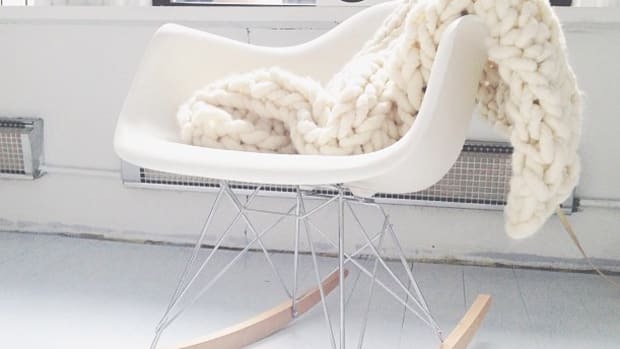 Of course, I can’t discount the practical and functional benefits of making my own knit and crochet items for my home. Every bed, sofa and chair has a throw to pull on those chilly autumn evenings, which helps us keep our energy bills low and that certainly is beneficial for our budget and we are doing our part to reduce residential energy use. 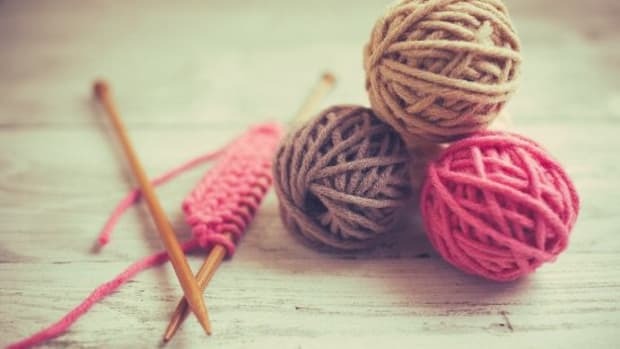 Besides afghans and throws, there are some other useful knit and crochet projects that will satisfy your crafty urges and are really practical around the home. Crochet Poufs - Crochet up these pretty poufs to have a warm place to rest your tired feet and legs after a long at work. This free pattern is a little more complicated and is better for experienced crocheters. Basic Crochet Slippers - While technically not for your home, crocheting up these slippers just might help you keep the thermostat down this fall and winter. 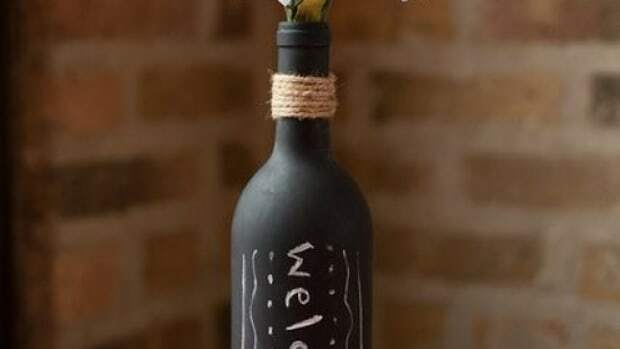 Make a pair for everyone in your home. Knitted Dishcloths - Use this free pattern to make reusable knitted dishcloths and washcloths. 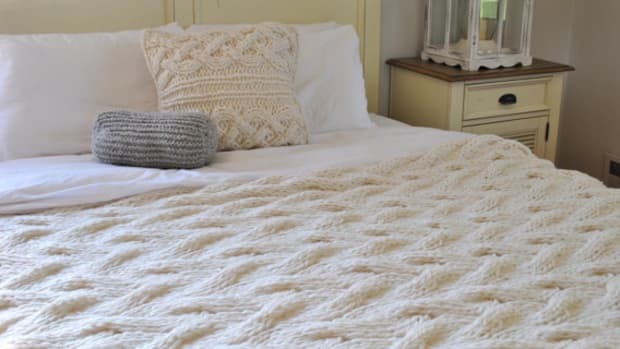 Chunky Knitted Throw - Knit up your own chunky knitted throw with this free pattern featuring both the cable and lace patterns. This project is for experienced knitters. 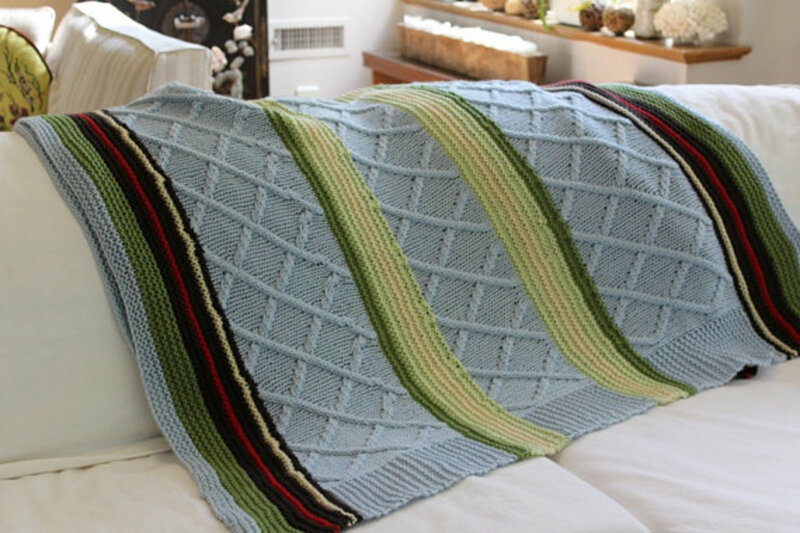 Crochet Weekend Afghan - I love quick projects and this free crochet pattern is that. Crochet this one up in just about 4 hours or so. Crochet Rug - Add some warmth to your floor with this easy crochet pattern for a hearth and home rug. Knit Hot Water Bottle Cover - Add a pretty and functional cover to your hot water bottle with this free pattern. 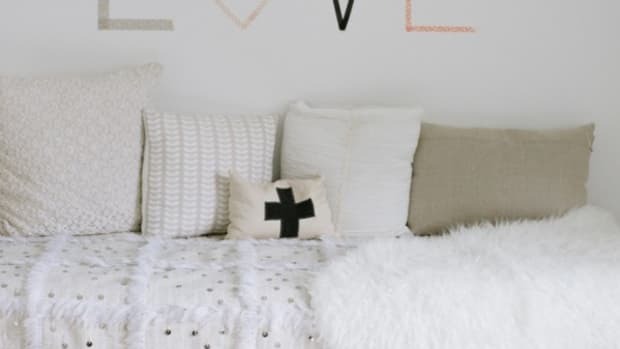 Cable Knit Pillows - Add pillows to your sofa or guest bed with this free pattern for cable knitted pillows.